Bullying. Do we really know what it is? Or how rampant bullying is in our world? Do we have any idea how much we have normalized bullying all over our earth? Do we know what we need to do to heal bullying? 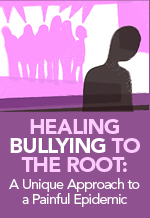 Participants in this course will read and answer questions that help them explore more deeply the tragedy of bullying: from its roots deep within each of us, to the tragic consequences of not healing our “inner bully,” to the vast transformation that is possible when we explore and heal the bully within. Through the text in this course, by psychotherapist and author Judith Barr, participants will learn about how truly pervasive bullying is in our society and our world; where bullying is truly rooted; why we can never seem to create sustainable outer solutions to bullying; the consequences of our fear of feeling – powerlessness in particular – and how that fear contributes to the epidemic of bullying; what we can do to help our children in the face of bullying; and how exploring our own “inner bully” can help us heal the painful epidemic of bullying in our world. Taking this course will help therapists learn about bullying up close and personally through their own minds, hearts, and experiences . 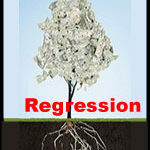 . . an important way through which they develop more deeply their ability to help clients. Therapists who participate in this course will also learn ways to help their clients recognize, explore and heal their own inner bully. 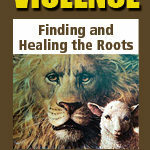 In addition, taking this course will help therapists learn how helping their clients dissolve their defenses and build the capacity to truly feel their own painful feelings – past and present – will help to heal bullying in not only their clients’ lives, but also in our communities and our world. Define bullying and give examples – in its many forms – of bullying in daily life and in current national and global events. Describe the cycle of bullying and how it passes from one generation to the next. 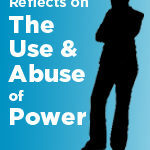 Identify the link between bullying and the feeling of powerlessness. Explain how our fear of feelings contributes to bullying. 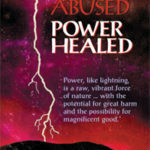 Describe how healing your own relationship with power can help heal bullying in our world. Identify ways we can help our children when they are being bullied. Identify ways in which we can explore our own inner bully.